If you’ve ever had Korean food, then chances are you’ve had kimchi. This delicious side dish is made with vegetables and a variety of spices that gives it its peculiar color and taste. One of said spices? Gochugaru. 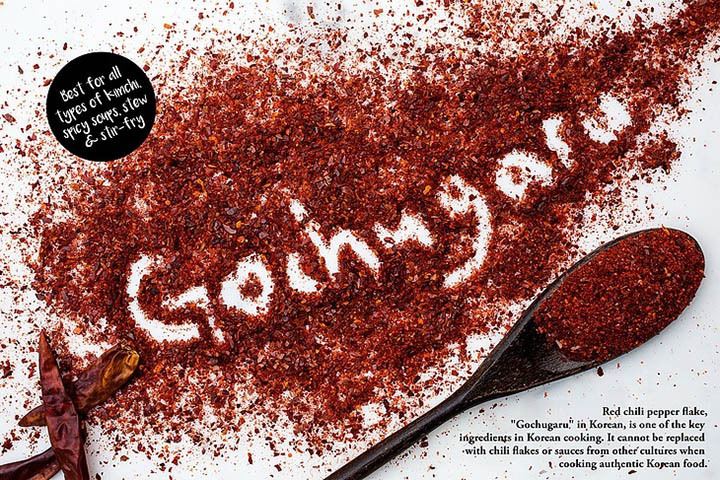 Gochugaru is a red and spicy powder created from a particular variety of red pepper and it’s not only one of kimchi’s main ingredients but also an important ingredient through Korean cuisine as a whole. Unfortunately, while it might be easy to find in Korea it’s not as simple in other parts of the world and sometimes it’s downright impossible which is why sometimes you just need to get creative and find a good gochugaru substitute. As chili, gochugaru has a very distinctive but not particularly overpowering flavor. You’ll feel it, for sure, but it won’t overwhelm you. As a product of red chili peppe﻿rs, it has a flavor that can only be compared to other red peppers so that alone will give you a good idea of what to look for. One of the main characteristics of gochugaru is that it has no seeds so this is something you should consider when selecting your replacement. Finally, gochugaru scores around 4,000 ~ 8,000 Scoville Units in the Scoville Scale (A scale used to measure the spiciness of different kinds of chili that goes from zero to well over one million) which means that, to match that ‘spicy yet not overwhelming’ flavor you’re going to have to use something along those numbers. 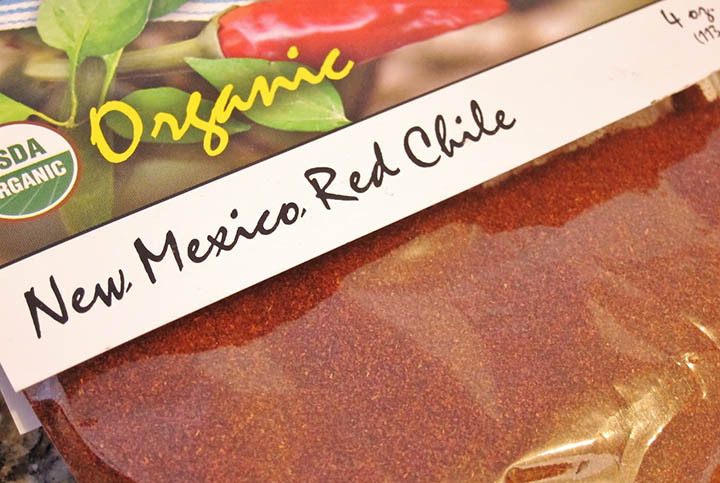 The Good: New Mexico Chili can be found in powdered version which means you won’t have to deal with seeds. Its color is close to gochugaru’s so you’ll be able to match kimchi’s and other food’s appearance. This is one of the best gochugaru substitute. The Bad: There are two kinds of New Mexico Chili: Green and Red. The green one has a slightly sweet taste similar to gochugaru’s but it can’t match the color. The red one is considerably earthier and might not match the flavor that well. The Ugly: It lands somewhere in the 500 ~ 2,500 range of the Scoville Scale which means it simply won’t be able to match gochugaru’s spiciness. That said, there are certain chili farms that create particularly spicy New Mexico Chilis but you’d have to look for them. The Good: Chile Pasi﻿﻿lla scores in the 1,000–3,999 range, which puts it closer to gochugaru than other versions. 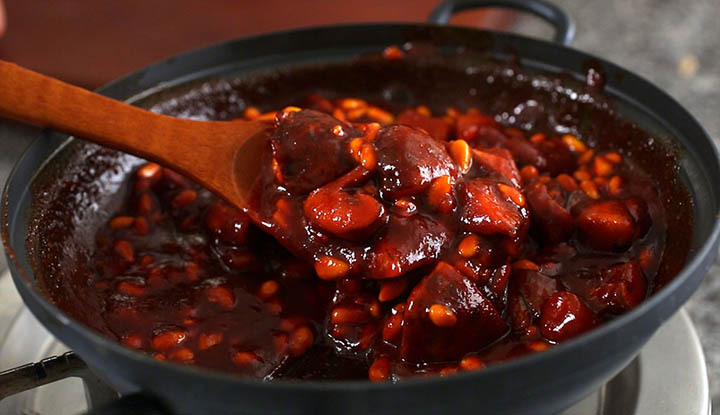 This particular chili is used for all kinds of sauces in Mexican Cuisine since its flavor isn’t overwhelming and it blends well with other ingredients. Plus, it can be found in powdered form. 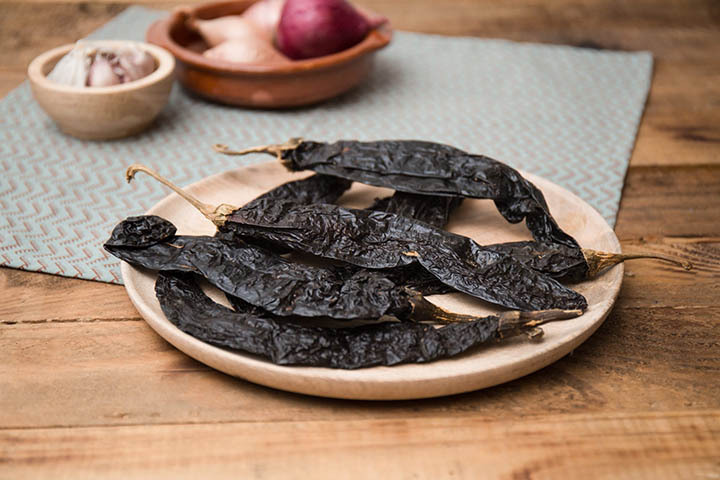 The Bad: While there are some advantages to chile pasilla, if you’re interested in your kimchi to look as authentic as possible this chili won’t help you as its considerably darker than gochugaru or other kind of peppers. The Ugly: Chile pasilla has a very earthy, somewhat dry flavor that doesn’t resemble gochugaru at all. 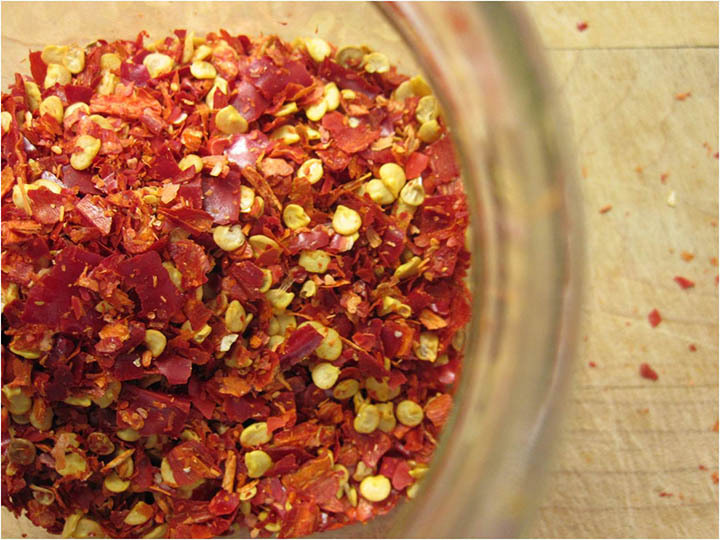 The Good: Just as gochugaru, Kashmiri chili powder is used to add spiciness and color to dishes. Because of this, it’s one of the best substitutes when it comes to looks, as it gives food a bright red color and it has no seeds. 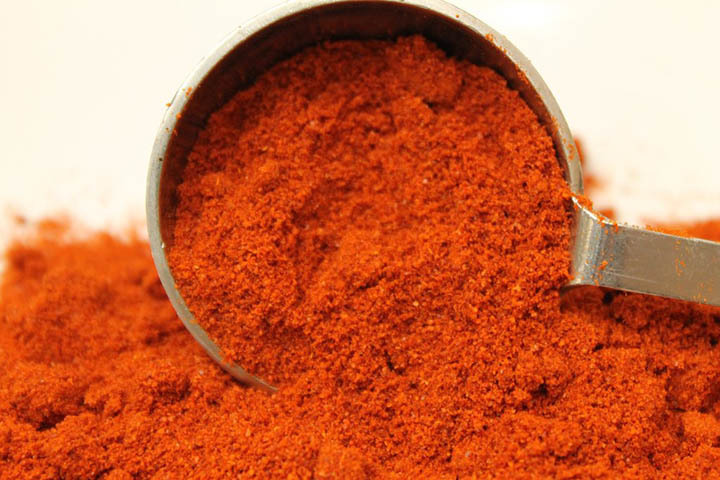 The Bad: Kashmiri chili powder is rarely made out of real Kashmiri chili, which means that you’ll be using a blend of various chili powders so the flavor might change from brand to brand. The same applies to the spiciness so there is no Scoville Scale value to measure it with. The Ugly: Chances are if you had trouble finding gochugaru you’ll probably have trouble finding Kashmiri chili powder, as it’s mostly sold in specialty stores and Indian grocery stores. The Good: Aleppo Pepper has the right color to be a good gochugaru substitute and since it’s not a powder but rather a flaky chili it matches the texture of gochugaru much better. The Bad: It lands somewhere in the 10,000 range of the Scoville Scale which makes it spicier than your average gochugaru substitute. 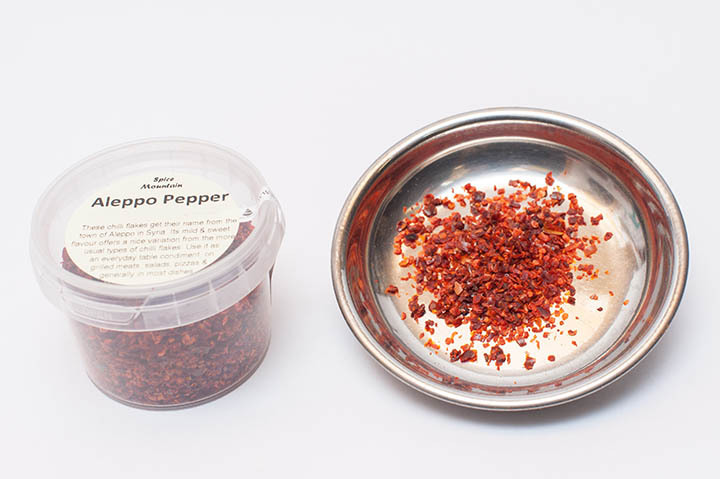 The Ugly: Aleppo Pepper has a sweetness to it, just like gochugaru, but is considerably ‘fruitier’ which can be off-putting to some. The Good: Hungary’s national spice, the Hungarian Paprika can replace gochugaru’s colorful properties and it has a similar sweet yet pungent taste. The Bad: Hungarian paprika spiciness can vary from brand to brand as there’s no standards for how it is made. 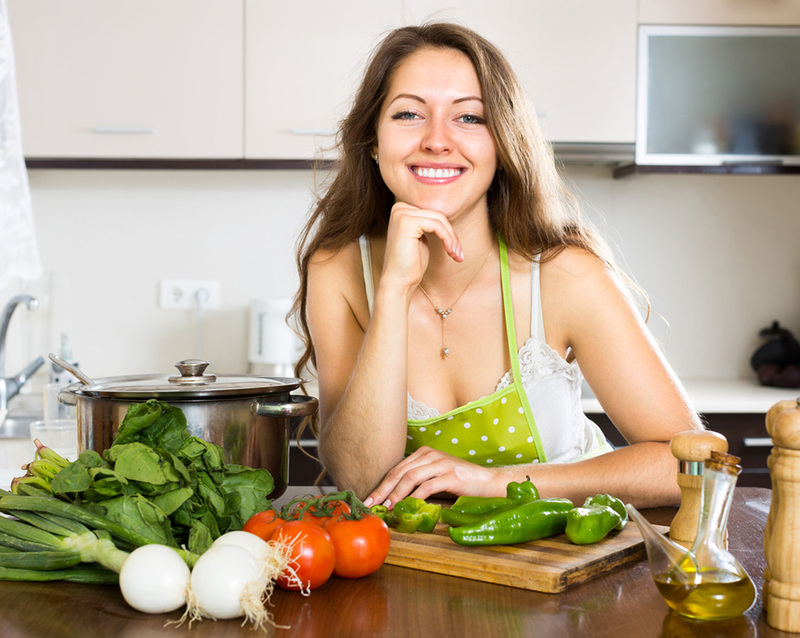 Prepare to have completely different results if you change paprika from time to time. The Ugly: Paprika can be really expensive, regardless of what kind so keep that in mind when considering it as a gochugaru substitute. The Good: Cayenne peppers are already used in Korean cuisine so you won’t be experimenting with something completely unfamiliar. It has a red color that can make it look like gochugaru and it can be found in flaked and powdered varieties. The Bad: Though you can find it flaked, just as gochugaru, it’s not uncommon to find seeds here and there. The Good: This hot pepper paste comes from Korea and it’s made with the same ingredients as gochugaru so, hands down, this is the best substitute you’ll be able to find. The Ugly: If you weren’t able to find gochugaru chances are you won’t be able to find gochujang either, not only because it is usually sold in the same stores as gochugaru because, unlike the chili powder, this is actually a ‘prepared substance’ that might be harder and more expensive to acquire. There are some of the most popular gochumaru substitutes out there, as well as some of the easiest to find. However, there are plenty more out there, waiting to be used when the need strikes. 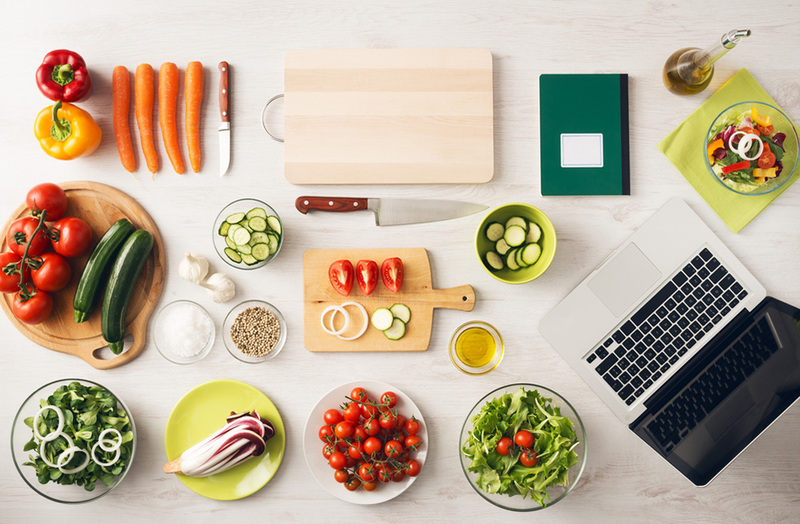 If you liked this article and you found it useful for your own recipes, please share and spread the love with your friends and family. If you’ve used other gochumaru substitute you think we should know about, please leave a comment. We’d love to hear what you have to say. Hello, when and if using Hungarian paprika as a substitute for gochugaru, how much should I use? The same amount that the gochugaru is called for ?